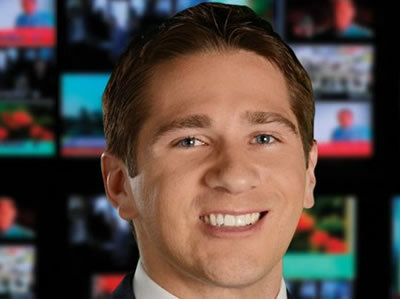 First on New England One, Trey Daerr is joining WHDH-TV 7 News as a weekend anchor and sports reporter, WHDH-TV news director Linda Miele has announced. Trey comes to 7 News from Hearst station WISN-TV ABC 12 in Milwaukee, WI which he joined in May 2013 and was a sports reporter. Trey has also worked as a sports reporter at KNWA-TV/KARK-TV in Fayetteville, AR and at KOAM-TV in Pittsburgh, KS. A native of Pittsburgh, PA, Trey is a 2008 graduate of Duquesne University where he studied Broadcast Journalism. Trey is “very excited to be switching from the Packers to the Patriots” Miele said. He starts later this month.